These wonderful Demarle Silform Molds are designed for Traditional Bread Rolls! Silform's® non-stick properties are effective in freezing, proofing and baking for either crusty or soft bread. 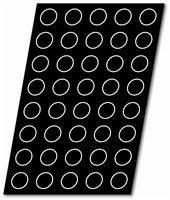 These mats can be used on any kind of grids or pastry trays. 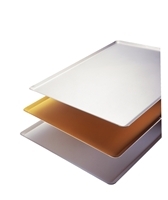 For use in ventilated ovens, perforated aluminium trays will be preferred so as to optimize the heat transfer. 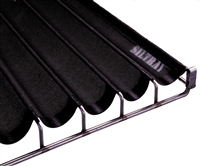 Silform® can be used at temperature varying from -40°C to 280°C. These wonderful Demarle Silform Molds are designed for Milk Loaves! These wonderful Demarle Silform Molds are designed for Ciabatta Bread! 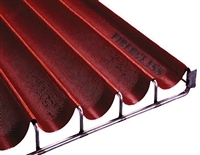 These Flexible Fiberglass Baguette Trays are especially effective for proofing and baking frozen dough. Their particular structure prevents the dough from sticking into the fibers during defrosting and proofing. Their flutes keep their shape over time, allowing for perfectly rounded baguettes! These flexible Baguette Trays are especially effective for proofing and baking frozen dough.